To reserve your place at these workshops, please email camp@qldspinners.org.au. Reservations will be also taken on the day at Camp if there are places left. All payments to be made on the day. Two Coloured Brioche Knitting with Diana Maloney. 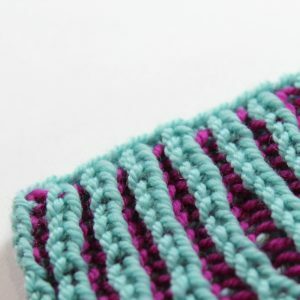 Learn how to do a style of knitting called Brioche stitch with two colours to make your knitting POP! Participants should have an intermediate knowledge of knitting techniques. Requirements: bring along two small balls of yarn (4ply or 8ply recommended) of contrasting colours, a set of Double Pointed Needles (DPN’s) or a Circular Needle of a size that suits your yarn type. 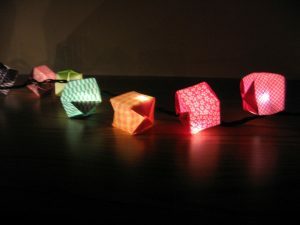 Students of this workshop will learn how to make miniature origami paper lanterns that can be threaded onto LED lights to make your house or next party look wonderful! 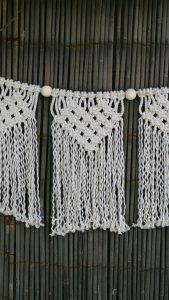 They can also be hung onto string for a simple decoration. 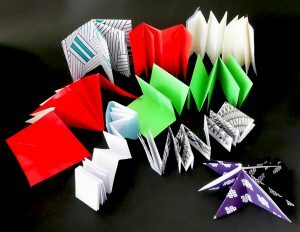 No experience in origami is necessary. This workshop is a quickie and will only take about 20 minutes. Paper and instructions will be provided for you in the cost of the workshop (LED lights are not included.) If you wish to bring your own paper squares or magazine pages and a pair of scissors you may do so. This workshop caters for up to 12 participants. Reserving a spot is recommended. Time: 9.30am – 10am Saturday morning morning. 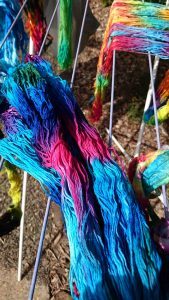 Join our special guest instructor from Full Circle Fibres, Meriel Chamberlin while she takes you on a colourful ride, teaching you how to dye your own skein of cotton yarn. Learn how easy it is! 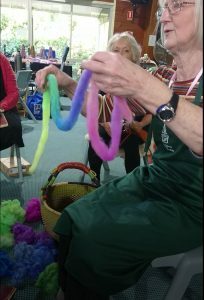 Participants do not need any previous dyeing experience and only need to bring along an ability to listen + Requirements: a plastic bag to take home the skein if it is still wet. Last year this workshop was SOLD OUT very early. The workshop will cater for only 12 people, so get in quick to reserve your spot! Time: 10:15am – 12:15pm on Saturday. 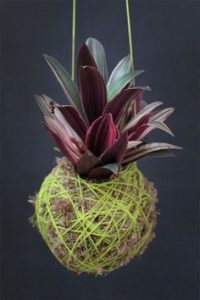 Kokedama is an ancient Japanese technique where a plant’s root system is bound with moss, hessian or coconut fibre and string (or yarn), transforming it into a mini art form. Prepare to get your hands dirty! Embrace Imperfection, impermanence and awareness of natural beauty into your life. This workshop should take up to an hour. You will go home with a fantastic new hanging plant. Time: Workshop will be run on Saturday from 1:15pm – 2:45pm on Saturday. Cost: is $15 and includes the cost of all materials. Time: Saturday, starting from 9am. Cost: (with one calico bag or BYO Tshirt): $5. 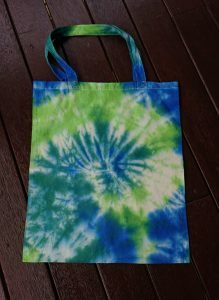 Extra calico bags cost: $7 per bag to purchase and dye. Make one Part 1 of heart shape bunting from “Knot Modern Kits”, using the cotton cord technique of Macrame. Very retro! This workshop is for beginners and the kit is included in the price of the workshop. This workshop should take approximately 1 hour. Only 5 places available, so get in quick! Time: Sunday morning 9am – 10am. 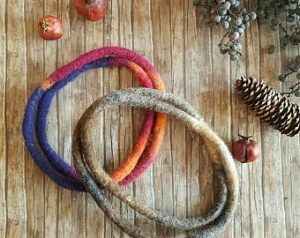 In this workshop, students will make felted dreadlocks that they can then turn into a necklace, a small woven mat or coil a small pot made of wool. or fibre can be purchased from the Emporium Stall while at the Retreat. Tunisian Crochet with Nicole Todd. 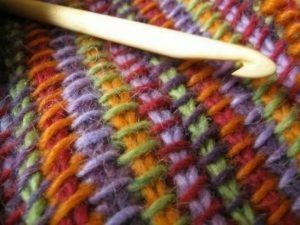 Learn the basic stitches of Tunisian Crochet, an interesting cross between knitting and crochet. Nicole has been using this technique for a while now, and would love to share it with you. 10 -Mini Book Designs Using a Single Folded Page with Joanna Faber. This is a first ever at QSWFA Retreat: introducing a member from our Book and Paper Group Joanna Faber and have a look at creative artistry of paper. Take 10 sheets of paper and follow Joanna’s instructions to fold and cut to create 10 x different ‘Mini Books’ that can become catalogues, greeting cards, motivational notes etc. Requirements: please bring along any pretty / interesting papers you have at home. There will be paper available for purchase $2 per kit if you require. Some glue sticks and scissors will be provided if you have these with you please bring to this workshop. There is availability for 12 people. This will be a busy workshop with many designs to cover! Mixed Fibre Carding with Alleyne. Do you want to mix fibre and experiment with wool, mohair, silk? Spend some time with Alleyne on Friday night and she will show you some tricks and how to flick and roll. Requirements: please bring along your carders if you own some. There will be some carders available. Bring any fibres you may like to blend. Plus Alleyne will have some colourful fibre from the Emporium if you wish to purchase any extras small price of $2. An apron is a handy to wear to protect clothes from being covered in fibre.